"Cultural surprises hidden among piles of history thousands of years deep." While perched above the remains of the Temple of Zeus at the Southeastern edge of the Roman empire, I found myself at an unexpected cultural crossroads. 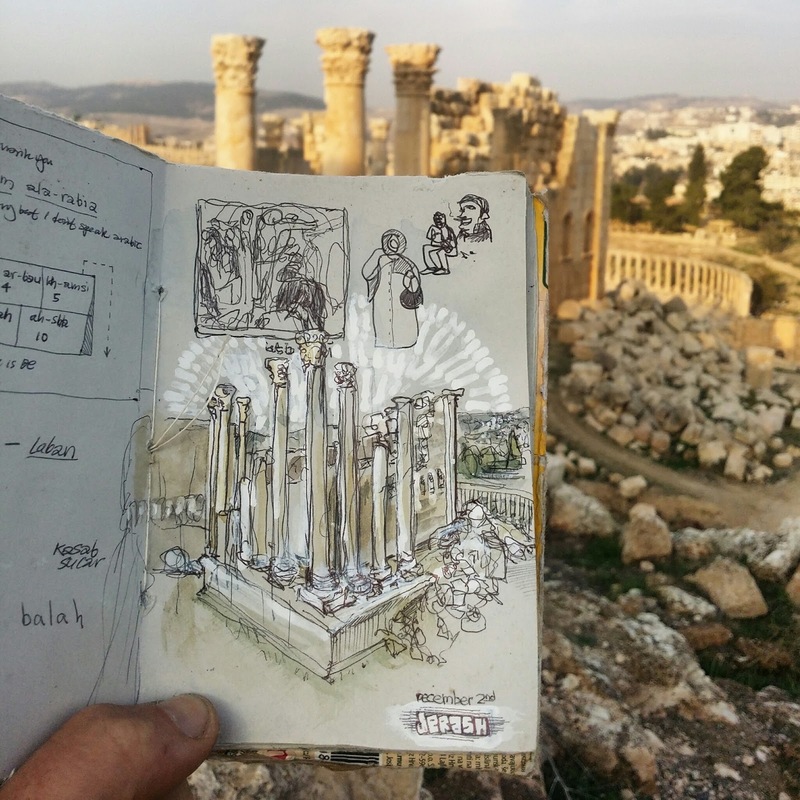 I was sketching and listening the call to prayer from Jerash drifting over the columns below when the sound of accompanying bagpipes made me pause. I couldn't help but wonder - how in the world did bagpipes end up all the way out here? 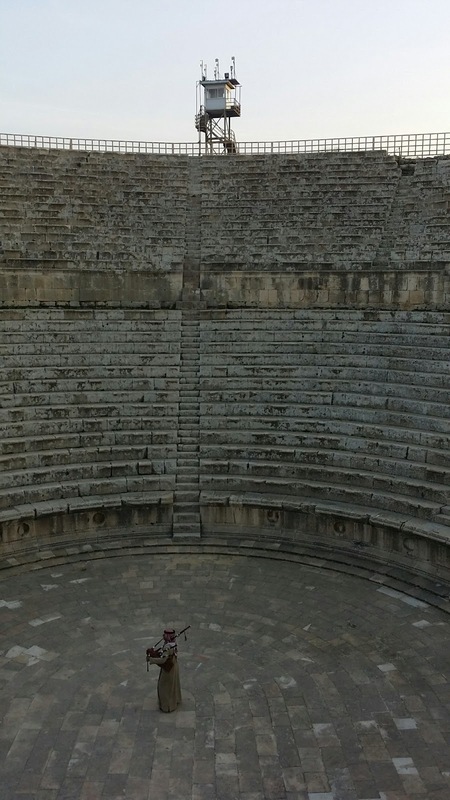 I followed the music to the South Theatre, one of two Roman amphitheaters within the ancient city, where I found a solitary man in a traditional Jordanian military uniform playing to a thousand empty seats. After a rousing rendition of 'Scotland the Brave' for two slightly defensive Scottish Irish tourists who had wandered in, I took the opportunity to ask the bagpiper himself about how the bagpipes made their way to Jordan. It turns out he was wearing his uniform for a reason - he had served in the Jordanian army for 21 years as part of the official marching band, which apparently includes the bagpipes. 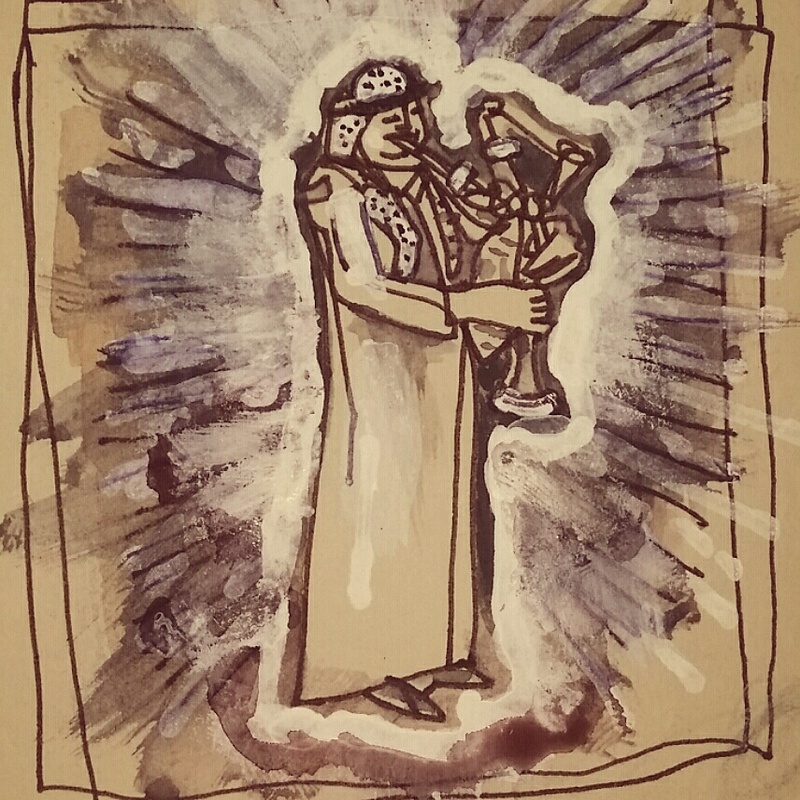 He credited the Jordanian bagpipes to Sir John Bagot Glubb, aka Glubb Pasha, a British general of the Transjordian Arab Legion who helped to organize the bagpipe division back in the 1920's. *This video has terrible captions, but the article linked below is great. Email me if you'd like a transcript of the video above and I can type it up. Later, I found some great blog articles with archival videos of Glubb Pasha, as well as an interesting post making the argument that bagpipes actually originated in the Middle East. 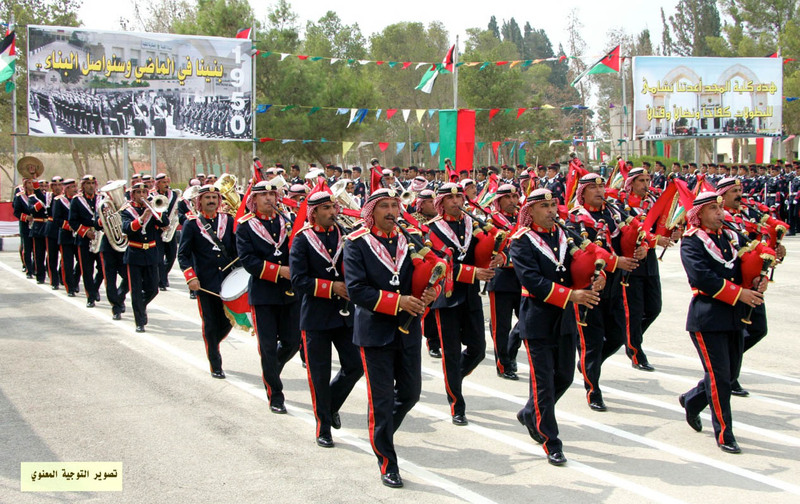 Still to this day, bagpipes remain front and center in the Jordanian army's marching band, an heirloom and remaining tie to the British Empire from a time when they had a strong influence in the region. No matter how you look at it, the tides of invading empires through the ages have left Jordan with some interesting cultural surprises hidden among piles of history thousands of years deep. For more sketches from my adventures in Jordan, check out my Instagram feed and stay tuned for more stories!